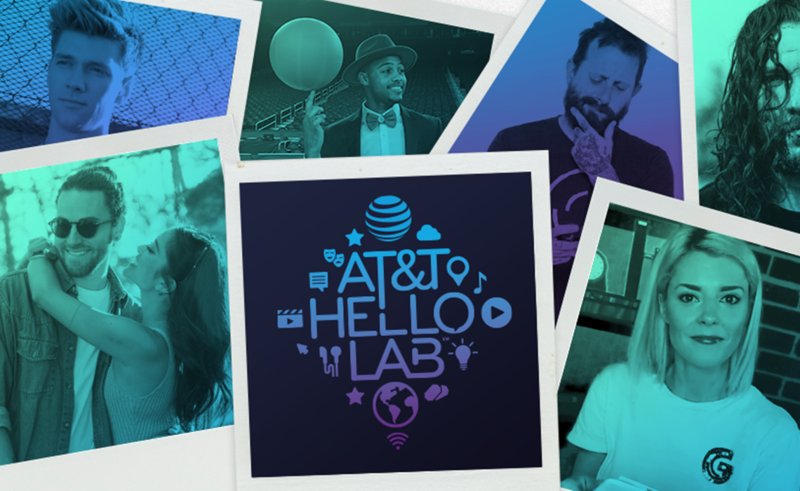 Since launching in February 2016, AT&T and Fullscreen’s year-long Hello Lab initiative has provided new creative opportunities for YouTube notables like Grace Helbig and the Rooster Teeth team. The next creators who will get their turns in the Hello Lab spotlight are a trio of ladies who will take their talents to Instagram. Amymarie Gaertner, Maiah Ocando, and Lina Saber will all launch new shows through AT&T’s digital initiative during the month of November. Each show in Hello Lab’s three-series Instagram set will highlight the skills of the particular leading lady attached to it. Gaertner, a dancer and choreographer, will teach fun routines with Your Move, which will also share the best fan-submitted takes on the dances it features. Ocando, a Latina vlogger, will offer a digital advice column of sorts through Dear Maiah. Saber’s show, Dine & Thrive, will invite her fans to join her by creating their own vegan recipes to go along with the ones she cooks up. Your Move will launch on November 2nd, Dear Maiah will arrive on November 28th, and Dine & Thrive is expected to premiere “at the end of November.” All three shows will go live on their respective stars’ personal Instagram feeds.